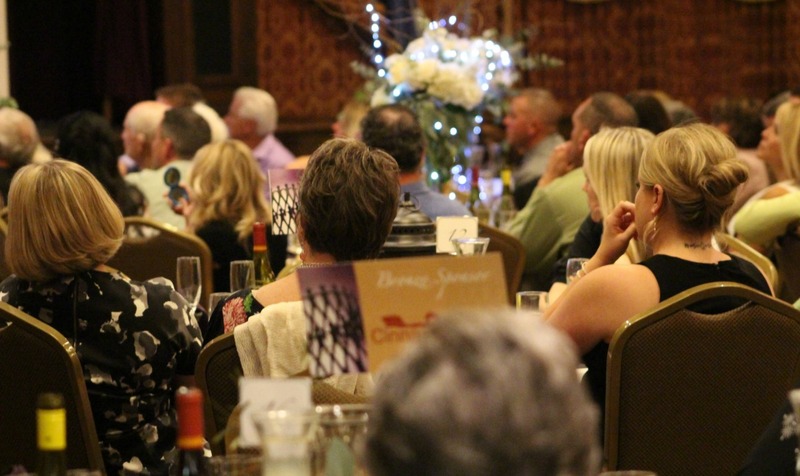 ST. GEORGE — The fifth annual “Dove Center Gala” was held at the SunRiver Ballroom Saturday evening. 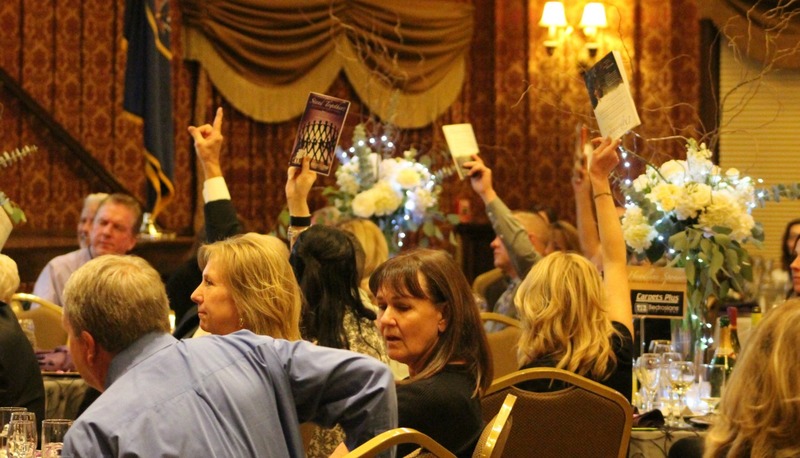 Themed “Stand together – It’s up to us to end domestic violence,” the gala was held in memory of Kristy Manzanares, the St. George woman who was killed in a domestic violence incident while on an Alaskan cruise in July 2017. Dove Center is a St. George-based agency providing emergency shelter, victim advocacy and counseling services for survivors of domestic violence and sexual assault. The gala is held each year to raise funds that help ensure the continuation of critical services to survivors free of charge. 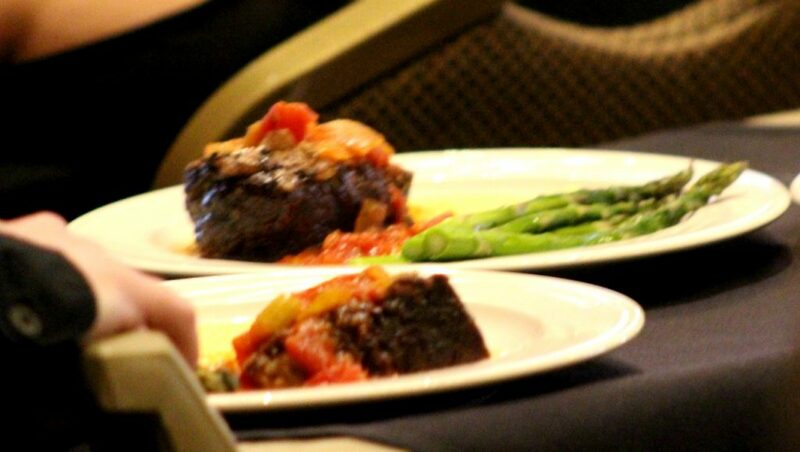 The sold-out event began with a social hour and silent auction at 5 p.m. The festivities continued until 8 p.m., with an elegantly catered sit-down dinner followed by an address by keynote speaker Victor Rivas Rivers, an actor, former athlete of Florida State University and the Miami Dolphins, best-selling author and national spokesperson for the National Network to End Domestic Violence for nearly 20 years. 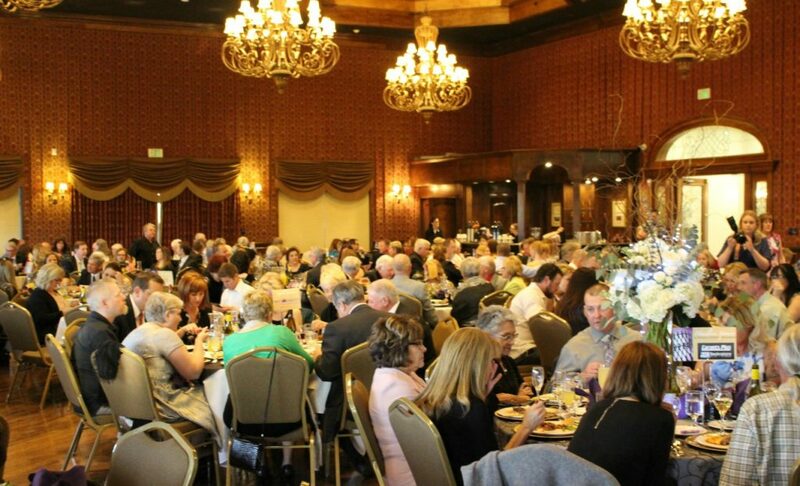 The Dove Center relies on the generosity of event sponsors so that more community donations go directly to programs and services that help clients find safety and healing. 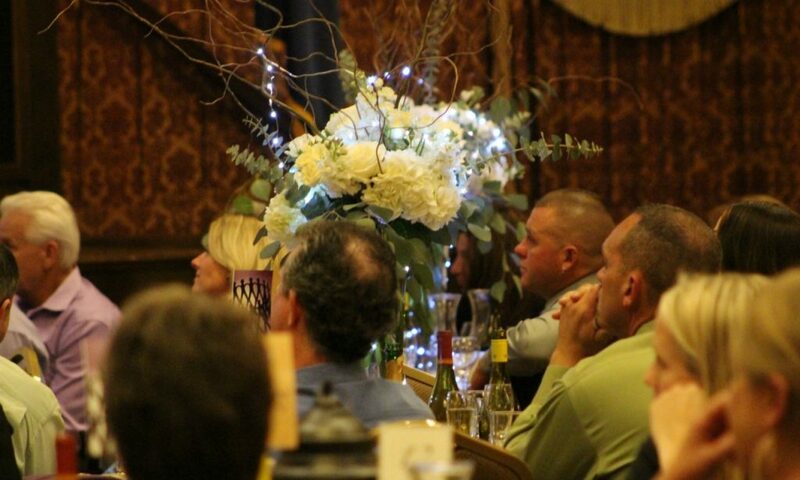 The headline sponsor of the event, Joe Gibbons, owner of Carpets Plus, became heavily involved in the fundraising gala in honor of his former employee and beloved family friend, Kristy Manzanares. Kristy Manzanares was killed while on a family vacation in July 2017. In August following, a federal grand jury returned an indictment charging 39-year-old Kenneth Manzanares with first-degree murder in the death of his wife. 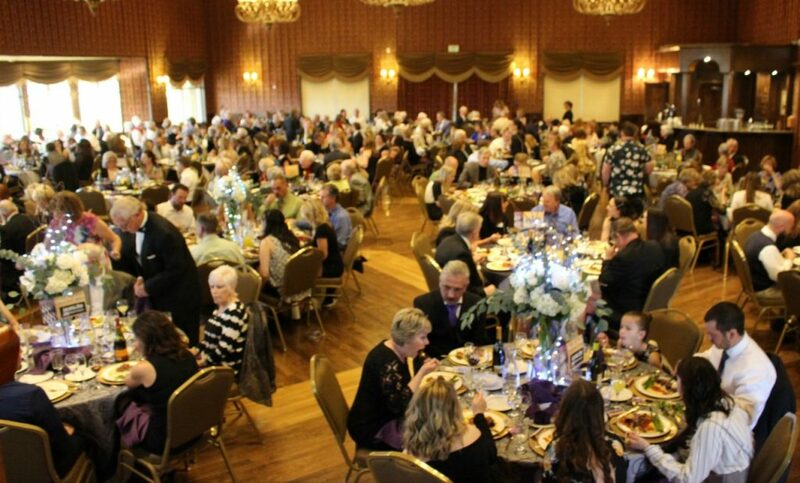 Ruth Weniger, the Dove Center’s board president, said that shining a light on domestic violence has brought a community together, illustrated by the fact that this year the organization received a record-breaking number of sponsors for the event that sold out more than a month ago. That strength was illustrated by the involvement of four mayors, including Ivins Mayor Chris Hart, Santa Clara Mayor Rick Rosenberg, St. George Mayor Jon Pike and Washington City Mayor Ken Neilson. The four leaders also took part in a video shown during the evening, in which each speak out against domestic violence while supporting the Dove Center’s efforts. Rivas told St. George News Saturday he also grew up in a home where violence took place on the level of torture by his father. This happened during a time when shelters and hotlines were nonexistent and training for law enforcement was unheard of, he said. The actor did have one saving grace, he said, when he was taken in by his “high school family,” where he was cared for and grew to learn that he mattered. That humor saved his life, he said, adding it is a human necessity that gave him the strength to survive. The star’s struggles through a childhood full of violence and torture, his triumphs and ultimate position on the issue of domestic violence are chronicled in Rivas’ memoir, “A Private Family Matter,” which speaks to the role that the community plays, and the difference each member can make when it comes to stopping domestic abuse. Rivas asked that question as he noted that children are victims of domestic violence as well, and communities are seeing that violence play out across the country. The CDC tells us that a child is 15 times more likely to be abused in a home where domestic violence is present, and a child is abused in this country every 10 seconds. More than 2,000 of these children die every year from that abuse. Weniger touched on the shift that opens up the issue of domestic violence, and the far-reaching effects it has on the family system, as she outlined the funding sources the center relies on to keep its doors open. The Dove Center’s budget has more than doubled within the last two years, she said, and while the organization was primarily funded by grants in years past, that has now shifted as the community has stepped in to support their efforts. Unofficially, it’s possible that sponsorship and donations may reach close to 50 percent of the budget in the next year, she said. Taking photos of the evening’s festivities, Collin Facino said he supports the Dove Center by providing photography services along with his girlfriend, Katelyn Orme, of Katelyn Marie Photography. 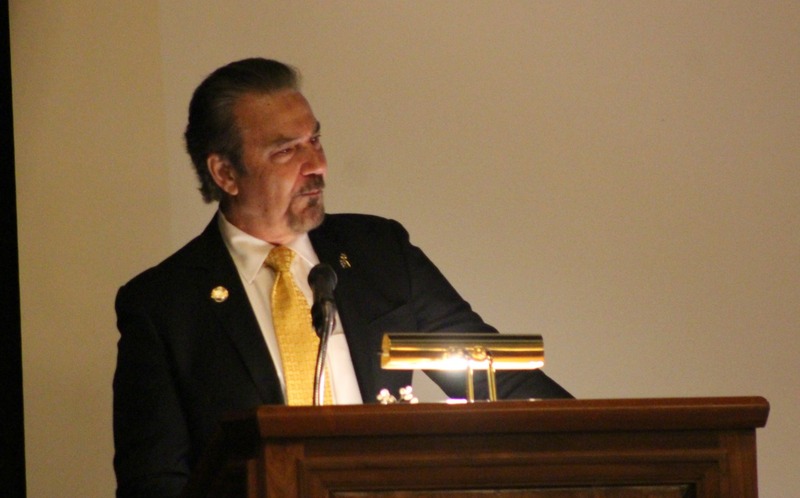 Pike said the evening gave him an opportunity to hear about the grave effects that domestic violence can have on the family and the community. For emergency shelter and other questions about domestic violence or sexual assault, call Dove Center’s 24-hour helpline at 435-628-0458. For information on sponsorship opportunities, email development@dovecenter.org or call 435-817-2219. For more information or to make a donation go to the Dove Center website. i found this sentence slightly confusing.